The Afternoon Express competition ("the Competition") will be run by Cardova Trading Proprietary Limited (registration number: 2010/007686/07) (“the organisers”) and the prize is provided by Sylvia Vollenhoven, the Author of the Book titled The Keeper of the Kumm ("The Promoter"). • The Competition is open to all South African citizens and permanent residents of South Africa who permanently reside in the Republic of South Africa, except directors, members, partners, employees, agents of, or consultants to the organisers, the Promoter, or any other person who directly or indirectly controls or is controlled by the organisers or Promoter, including their immediate family, business partners or associates, or any supplier of any goods or services in connection with the Competition. • The competition will open on 26 September 2016 at 17h00 and close on 26 September 2016 at 18h00 ("the Competition period"). • To enter, entrants must SMS the keyword “BOOKS" followed by your name and City to 33650 within the Competition period. • 1 winner will be selected randomly by means of an automated system from the valid entries received within the Competition period on the closing date of the Competition. Late entries will not be considered. • In case of a dispute regarding the identity of the winner herein, the owner of the SIM card used to enter the Competition will be deemed the winner, even though the handset may have been used by another individual to enter the Competition. 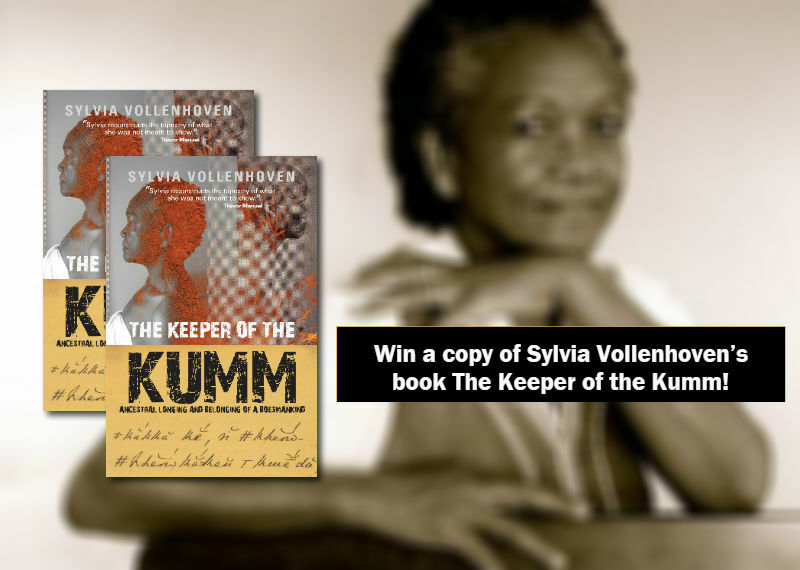 • The prize is: The 1 winner will receive a copy of the book titled The Keeper of the Kumm by author Sylvia Vollenhoven.• The prize is not transferable, and cannot be deferred or exchanged for cash or any other item.